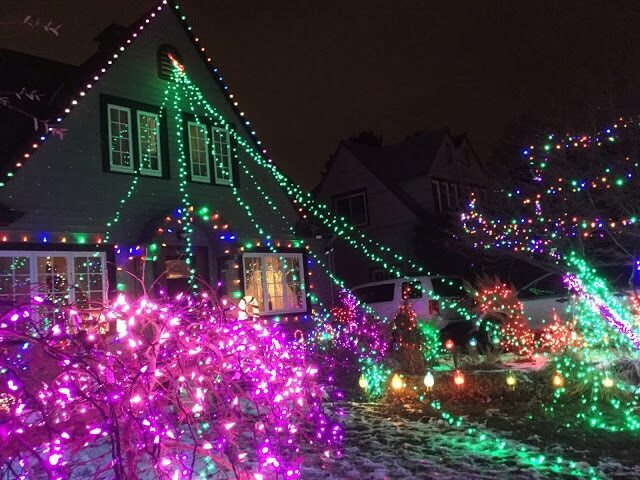 It’s not the holiday season for me without a visit to Peacock Lane. 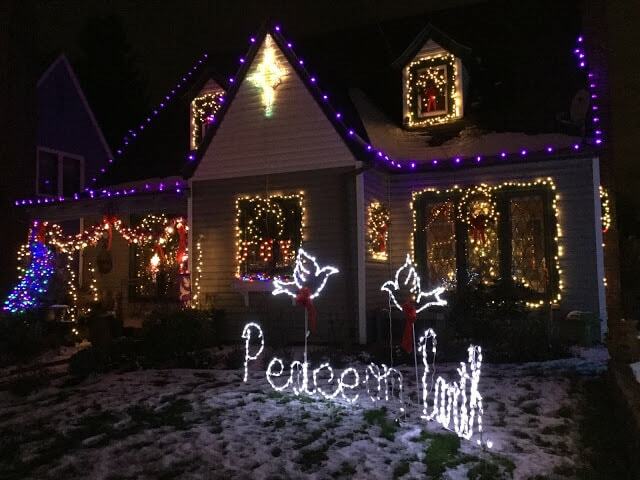 I think a lot of other Portlanders feel the same. 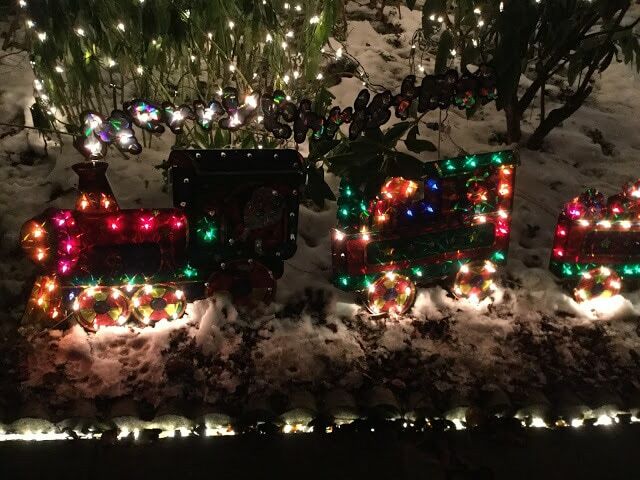 My favorite time to visit the Peacock Lane holiday light festival is on one of the car-free nights. It just seems more festive without cars and exhaust. People own the street. Christmas Carolers wander in and out of the crowds of people. You can even buy hot cocoa. I was happy to see the car-free night return this year. 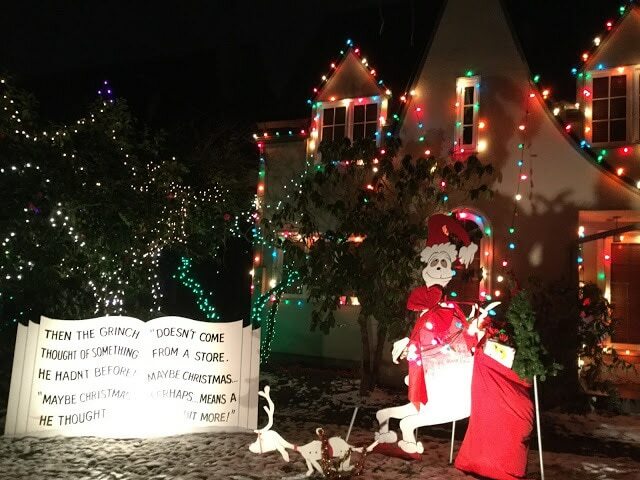 I went out there Saturday evening, and it was the first time I’d seen the street also adorned with snow for the holiday lights! The snow and cold evening added to the spirit of the street. The street was busy and full of an air of excitement from the little kids and a sense of enjoyment and peace from the adults. It just felt like Christmas. 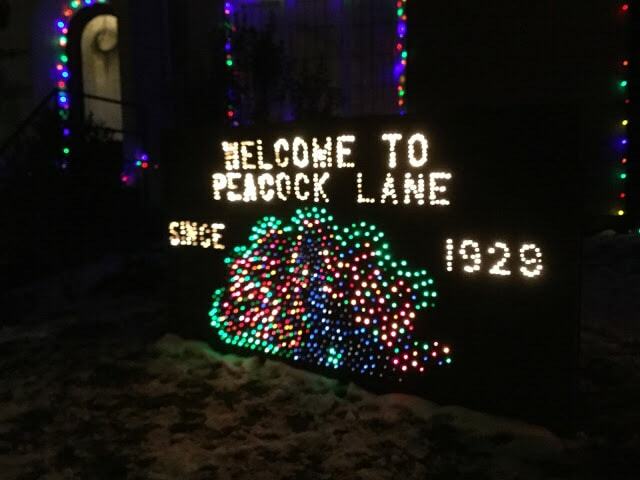 Peacock Lane has been a Portland tradition it seems since 1929 – that’s pretty amazing. It was so much fun sharing this tradition with the Japanese student who has been living with me (and who also took the pictures).She says there’s nothing quite like this in Japan. While they celebrate Christmas, she reports, it’s a bit more subdued. 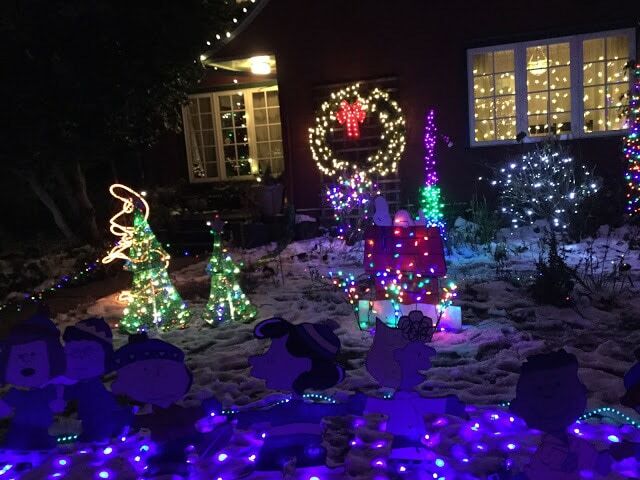 She fell in love with all the Christmas lights in the neighborhood, so I knew she couldn’t miss Peacock Lane. It didn’t disappoint. Nestled just one block east of Cesar Chavez, between SE Stark and SE Belmont, Peacock Lane is also accessible by a few bus lines. We took the 15 down from Mt. Tabor, and it was the perfect way to get there. Just hop off the bus and enter into the amazement of Peacock Lane. I can’t wait for next year.